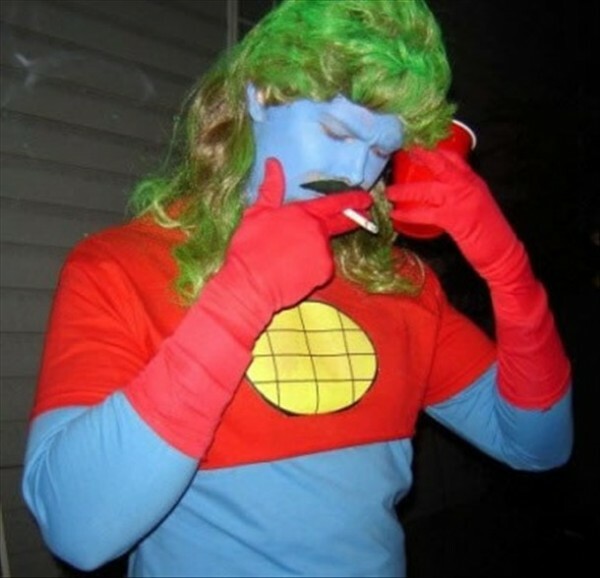 It’s true, Captain Planet will be a series of live-action films. Why? Because I guess someone thinks this franchise would be a good thing to mine for nostalgia sake. And with the previous version having all sorts of famous guest stars, maybe they think they’ll be able to get some named actors to show up dirt cheap. Expect right-wing bloggers to proclaim this yet another attempt by Hollywood to destroy big business while they sweat away under the blistering heat wave enveloping much of the country. Cartoon Network has signed a development agreement with action-adventure producer Don Murphy and partner Susan Montford and their company Angry Filmworks to develop a live-action motion picture based on the groundbreaking, environment-saving animated hero, Captain Planet and the Planeteers, it was announced today by Stuart Snyder, president and COO of Turner Broadcasting System Inc.’s Animation, Young Adults and Kids Media division (AYAKM). The agreement gives Murphy and his company the exclusive rights to develop and package the property and advance it towards production. Murphy and Angry Filmworks are most notably credited for the highly successful action-adventure franchise, Transformers (2007), Transformers: Revenge of the Fallen (2009) and Transformers: Dark of the Moon (2011). Murphy and Montford together produced the upcoming Hugh Jackman blockbuster Real Steel with Executive Producer Steven Spielberg. The company also is responsible for such action-oriented films as Shoot ‘Em Up (2007), The League of Extraordinary Gentlemen (2003), Apt Pupil (1998) and Natural Born Killers (1994). Angry Filmworks formed in 1998. “With the earthquakes, tornadoes, melting icebergs and all the other problems threatening the world right now, Earth really needs her greatest defender,” said Montford. In an effort to inform younger viewers about serious environmental issues, legendary cable entrepreneur Ted Turner partnered with DIC Enterprises in 1990 to create the world’s first animated environmental series, Captain Planet and the Planeteers. The series was about a group of young people who combine their special powers (The Planeteers) to summon Captain Planet, an environmental superhero, to battle the world’s worst eco-villains. Captain Planet and the Planeteers premiered in fall 1990, airing domestically and internationally in syndication and on cable networks TBS and TNT. Six full seasons of the series were produced in the original run of the series, featuring the voice talents of multiple guest celebrities, including Whoopi Goldberg (Gaia), Meg Ryan (Dr. Blight), Martin Sheen (Sly Sludge), Edward Asner (Hoggish Greedly), James Coburn (Looten Plunder), Dean Stockwell (Duke Nukem) and Sting (Zarm). Winning multiple Environmental Media Awards across its production, Captain Planet and the Planeteers also scored several Daytime Emmy nominations.